I enjoy walking weekly with others. We do it for exercise and socialization. While walking one of the subjects we were discussing led us into a discussion about how the subject was like the Parable of the Sower found in Matthew 13. Later that same day, our newly sprouted papaya tree in the backyard fell over in the wind. When I went to inspect to see if it could be placed upright with more soil, I noticed how shallow the root system is and was reminded again of the Parable of the Sower. I’ve been asking myself introspective question: am I planting good seeds in my actions, thoughts, speech, parenting, wifehood? Am I planting seeds on the path, rocky place, in thorns or good soil? 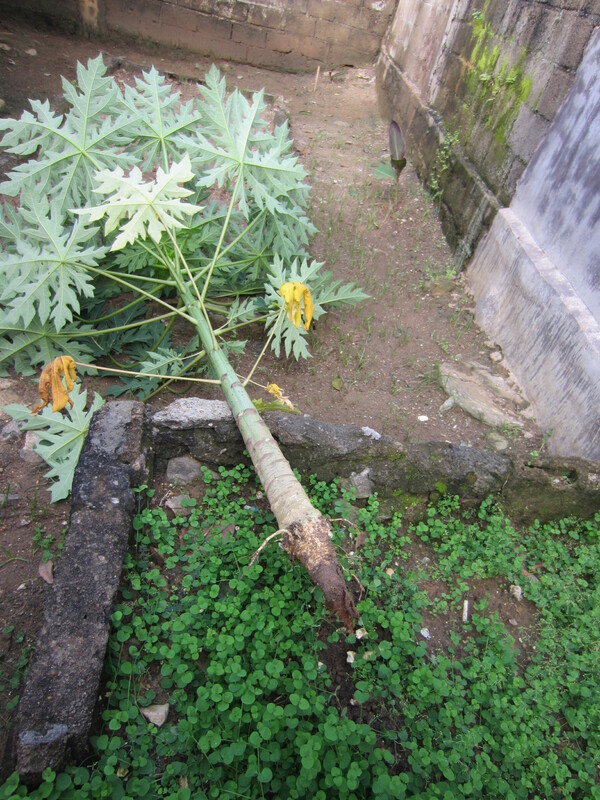 This entry was posted in Cameroon, home and tagged Cameroon, papaya tree. Bookmark the permalink. Important questions for all of us to ask. Thais for the reminder.